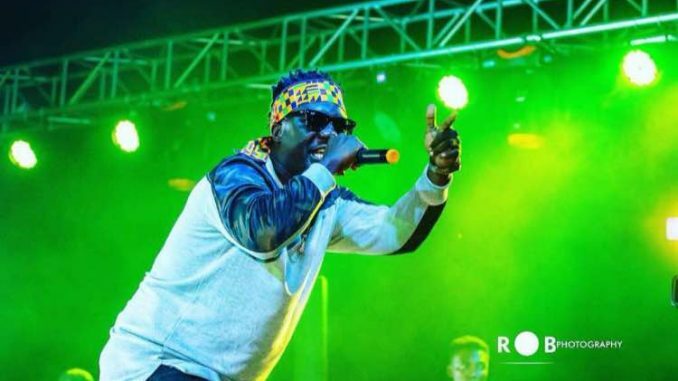 LIST]: Obibini Thrills Audience With Outstanding Performance At 3Music Awards & Full List Of Winners. Zylofon Media rap artiste, Obibini yesterday had an epic performance at the just ended 3music Awards. The rapper displayed an epic performance during his time on stage. He thrilled the audience to amazing tunes and showed why he is the next rap legend of Ghana. He performed The Statement, his 100% rap single alongside Lemme know, and delivered an epic freestyle performance. It was an amazing night for the rapper as everyone present was feeling the vibes served by him. The show was hosted by Joselyn Dumas and rapper D-Black. There were other thrilling performances from Stonebwoy, Teephlow, Joyce Blessing, Joe Mettle, Sista Afia, Gallaxy, Kumi Guitar, Kurl Songx, Ex-Doe, Chicago.